So, where is that magic pot of money that was supposed to make the numbers work? 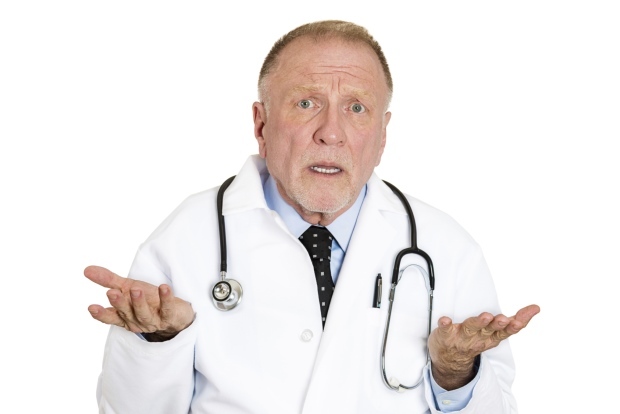 "You mean, health insurance companies don't have big fat profit margins?" (Bloomberg View) — Remember health care CO-OPs? No, of course you don’t, because, unlike some people I could name, you did not spend most of 2009 and 2010 reading white papers, scouring newspapers and attending panels to keep up with the exciting minute-to-minute details of Obamacare’s evolution. So, health care CO-OPs. The idea was that the administration would provide the seed capital for nonprofit insurers that would provide an alternative to traditional insurers on the exchange. A sort of “non-public option,” if you will. This August, Robert Pear of the New York Times reported that “most of the insurance CO-OPs enrolled fewer people than they had predicted, and that 22 of the 23 CO-OPs lost money last year.” Three have already announced that they were going out of business, and recently they were joined by Health Republic of New York State, which covers more than 200,000 people through its individual and small-group policies. Now, if incumbents are enjoying enormous margins, then an upstart can come into the market, underprice them a bit, and potentially make a killing. (At least, unless the incumbents decide to crush said upstart with a price war the upstart doesn’t have the reserves to ride out.) But health insurance margins aren’t particularly spectacular. Though consumers hate hearing this, the price of your health insurance is tightly tied to the amount that insurers expect to pay out in benefits — if not for your care, then for some other, sicker person in the pool. And new rules under Obamacare make that tie even more binding than it used to be. So unless the CO-OPs had found some fantastic way to save money on paper clips and toner cartridges, I suspected that they were underpricing the product — a conclusion that seems to be borne out by Pear’s article. Now, it could actually make sense to underprice your product at the beginning. Insurance is basically an exploitation of the law of large numbers: gather enough people together in a group, and individual differences smooth out into a nice, neat curve that tells you how much you can expect to pay out. The larger your pool, the smoother the curve. So CO-OPs may have intentionally underpriced to try to get an actuarially sound pool. Or they may simply have lacked the actuarial expertise of the incumbents. Or both. It hardly matters. The CO-OPs do not have the kind of massive capital reserves that incumbents can use to survive a few years of mispricing. The temporary programs the law contains to help smooth out these issues turned out to be less generous than expected after Republicans insisted they be made revenue-neutral, and at any rate, they were set to expire. So it’s not exactly an enormous surprise to see the CO-OPs starting to drop out. In the grand scheme of things, this doesn’t matter that much; the program was not central to Obamacare, and all the CO-OPs could go out of business without making all that much difference for most people, though in a few low-population states with highly concentrated insurance markets, the lack of competition may become a noticeable problem. (It already was, before Obamacare.) But this story is still worth noting because it highlights one of the central fallacies of the entire Obamacare debate: the belief, cherished by most people, that there is a magic pot of money somewhere in the health care system that can be painlessly tapped to provide people cheaper, better health care. None of these things is exactly false, but they’re not really true either. A few years back, a Greek politician was asked where all the money had gone; his now-famous response was that “We all ate it together,” meaning that everyone in Greece had had some hand in consuming the fantastic flood of money that poured into the country after it adopted the euro, and then slipped softly and silently away in the wake of the financial crisis. They ate in the form of government benefits, lower taxes, undemanding government jobs or a hundred other fiscal favors that were paid for with borrowed funds. So it is in the health-care system. There is no single culprit in America’s high spending; it’s in everything from the way we license health-care workers to the physical design of our hospitals. The ultimate problem lies in the bizarre, opaque structure of the American health-care system, which uniquely combines utter determination to shield consumers from the cost of their health-care decisions with a political unwillingness to let anyone else make those decisions. It’s not that the folks who designed Obamacare were unaware of this. But at least some of them hoped that adding new competition to the markets would improve them. Competition is splendid stuff. But it is not magic on its own. Obamacare didn’t do much to alter the fundamental structural problem — indeed, by forcing people to buy insurance, and larding on new mandates for free services, in some ways Obamacare worsened the problem. So it’s not surprising that so many CO-OPs found that they couldn’t deliver a better product than the incumbents without delivering themselves into the hands of bankruptcy judges. What’s surprising is that we keep hoping to find that elusive pot of money at the end of each new rainbow.